In a previous blog, I talked about the need to “raise your standards”. How did you go with that exercise? This month’s article goes hand in hand with raising your standards. I want you to think about your daily rituals. What do you do each day? Write down all the things that you do in a day. If you’re reading this article then I can safely assume you value your health and want to make yourself better. That could be more energy, improved health, fitness, strength, functionality or just be happier by moving more. 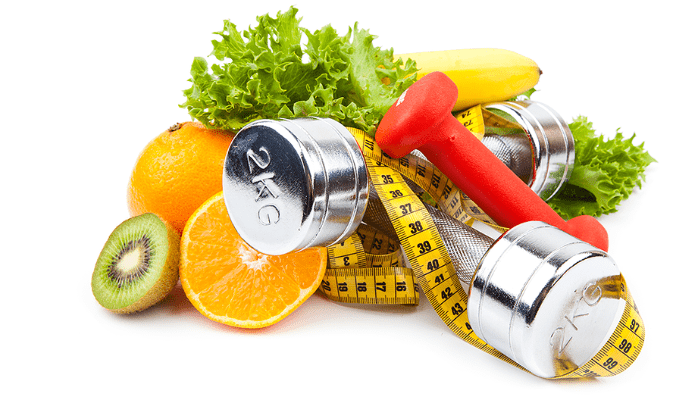 I want you to examine, in the context of your health and fitness, what are the things you do each and every day that move you closer to your fitness goals? What do I mean? Let me ask you a question, what would you say being “healthy” means to you? Most people would answer something like, I need to eat healthy, be active, don’t eat too much junk food. Can you relate to this as being your answer? If you answered yes you can see how your daily rituals will be associated to achieving those outcomes. However, this is how I would answer that same question. Being healthy to me means eating at leas 6 well-balanced meals per day. Each meal must have at least 2 cups of colourful plant-based foods, 30g of protein and no high energy carbs outside my metabolic window. I must drink at least 2 litres of water per day, I must do at least 3 resistance workouts and 3 intense cardio sessions per week. Each session must be structured in a way that leads me to achieving my fitness goals. I must get at least 6 hrs of restful sleep. I must have a monthly deep tissue massage and I must continue to work on developing my strong mindset every day. See the difference? Clearly I’m much more articulate and specific in what I need to do to be healthy for me. That means that I have a whole bunch of daily and weekly rituals that help me achieve my health and fitness goals. This includes being prepared with my food every day. Making sure I cook up meals over the weekend so that they’re in the freezer ready to go for me. If I don’t do this, I’m unprepared and struggle to tick all the boxes I need to achieve what I want Does that make sense to you? So how would you go about taking yourself from somewhere close to my first example, to where I am, or even somewhere in between? The answer lies within your “why”, your reason for wanting the health and fitness goals you have etched in your mind. You need to spend time to specifically determine what you want and why your want it. Is it a certain look, a level of performance, a clothes size, etc. If you think the way I live is extreme, unrealistic and not practical then let me just say it’s my life and it’s completely normal to me. If you want extreme, try following what a competitive bodybuilder does on a daily basis! The point is I’ve determined what “healthy” means to me and developed some very specific daily rituals that enable me to live this way. It’s wonderful!! I’ve worked with hundreds of people and I can tell you that most start off with having weak daily rituals. But once they understand the success formula I give them, the results flow and they become inspired to embed these daily rituals into their lives. It’s a matter of taking small steps consistently to build momentum. What keeps you undertaking those daily rituals is your drive and the reason why your health and fitness is important to you. Think about it. If something is really important to you, you’ll do whatever it takes to achieve it, right! I want you to reflect on what YOU are doing daily to move closer to your health and fitness goals. Write each ritual down and analyse them to see how solid they are. Now write a new list of rituals that you must undertake to get you to where you want. Be specific. Challenge yourself to strengthen your rituals. Consider where you’ve come from and where you’re going. There’s probably a gap. You can only close that gap by taking consistent action every day. Take baby steps if you need to. Pick a couple of extra daily rituals you can implement today. Add two more in three days time. Repeat this process until you’ve implemented all your new rituals. Life will never be the same again and you’ll wonder why you didn’t implement these rituals earlier! !